This arts and craft style home was in need of expanded living space. Our team at Monk’s arrived on the job to perform a full attic renovation. 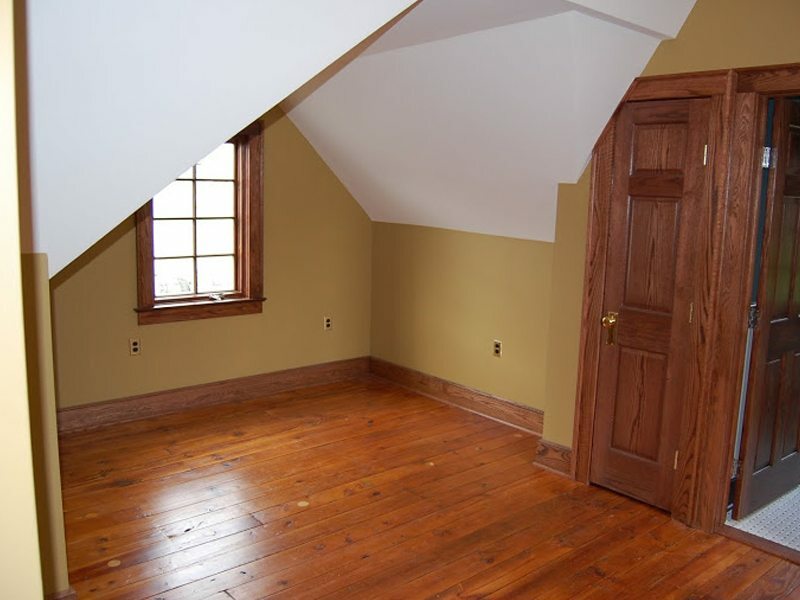 Over the course of the next four months our team turned the dusty old attic into two bedrooms, a lounge, and a full bathroom. Our skilled workers collaborated closely with the homeowners to create the new living space, while also staying true to the style and character of the house. 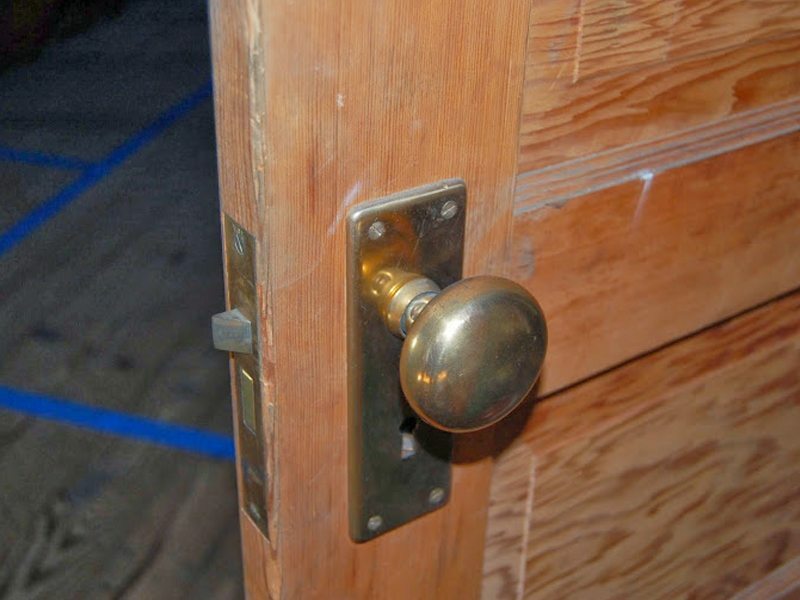 Our team would model the new details, such as hardware, and moldings, after the home’s original style. To begin this project our team brainstormed ideas for the layout with the homeowners. Due to the complexity of this renovation the plan was drawn up by an architect. Our team used tape to map out the future location of the walls on the floors. This was especially helpful due to the angled ceilings. Once the plans were finalized our team of skilled carpenters framed out the walls of the new rooms. An electrician and plumber were brought in to assist with the renovation. The plumber assured that the bathroom would be fully equipped with all its plumbing needs. The electrician readied the attic for lighting, and for heat and air conditioning. The attic was then insulated. Our team used sprayed on closed cell polyurethane insulation. 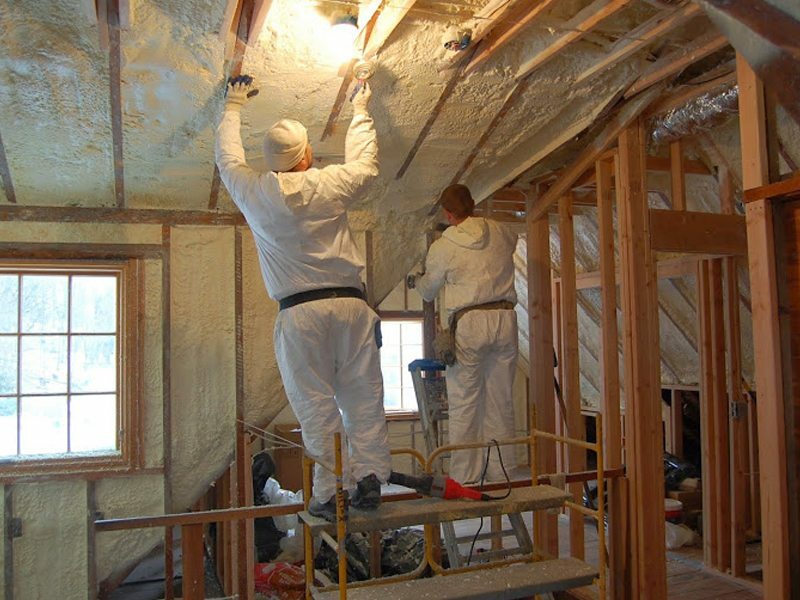 Due to the fact that this was an older home, our team was able to bring it up to current code by using this type of sprayed insulation. Next the walls were sheetrocked, taped, and spackled. New doors and windows were installed. The doors were also oak to match the look throughout the rest of the home. 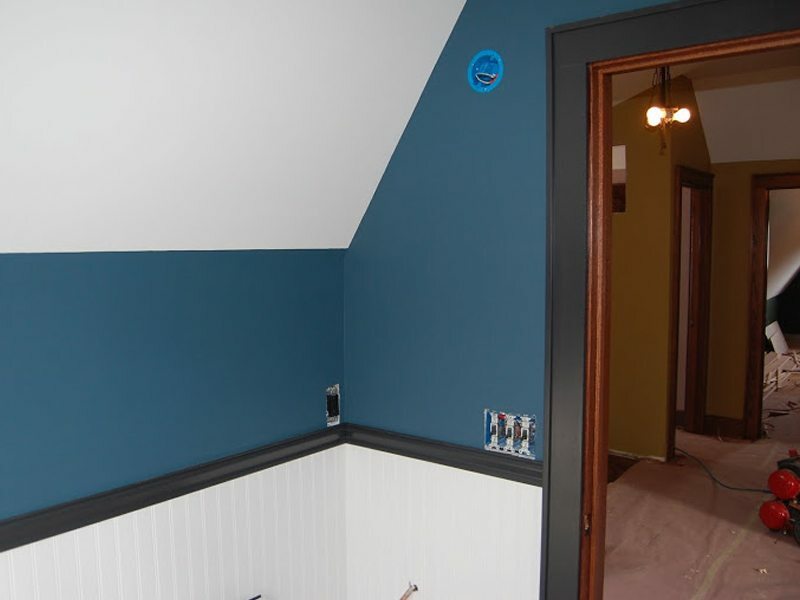 Once the sheetrock was set our team primed and painted the bedrooms, lounge, and bathroom. 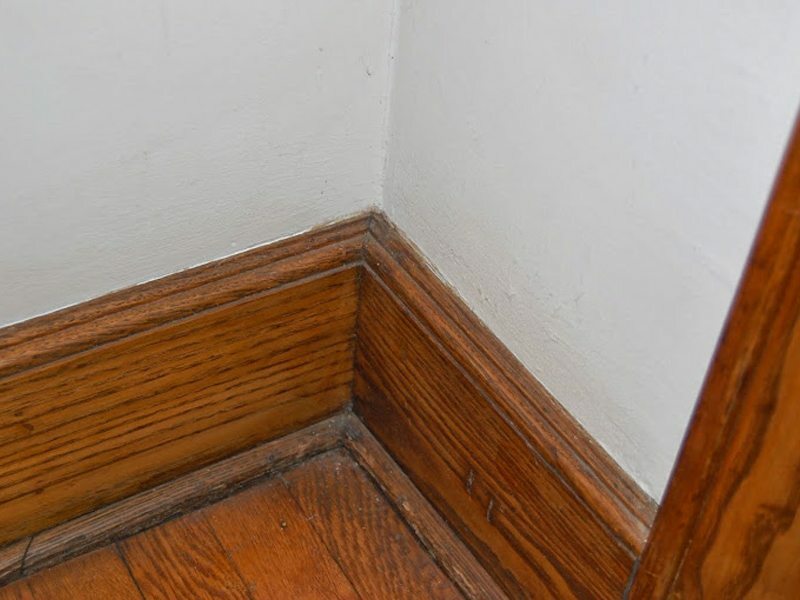 To keep the integrity of the home’s aesthetics the homeowners wanted to stick with the existing pine floors. 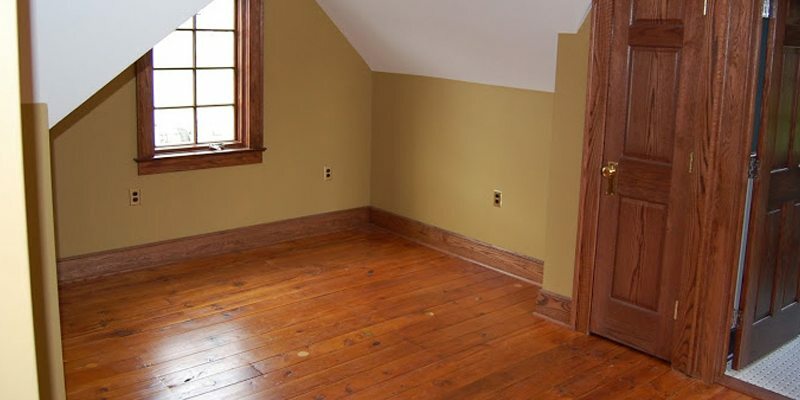 Our team protected these floors, and then proceeded with our proven dustless floor refinishing system. New window casings and door casings were built to add detail to the newly renovated living space. Our team built all oak molding to match the the rest of the house. Besides the closets in each bedroom, our team also created a custom built in shelving unit for the newly renovated attic. Our team also installed a Nest thermostat. Monk’s Home Improvements transformed this Morristown attic from a storage space, to a stylish living space of two bedrooms, a lounge, and bathroom. Another impressive project completed by our team at Monk’s! Other Types of Work: custom built in unit, dining room interior painting project, foyer and stairway painting. 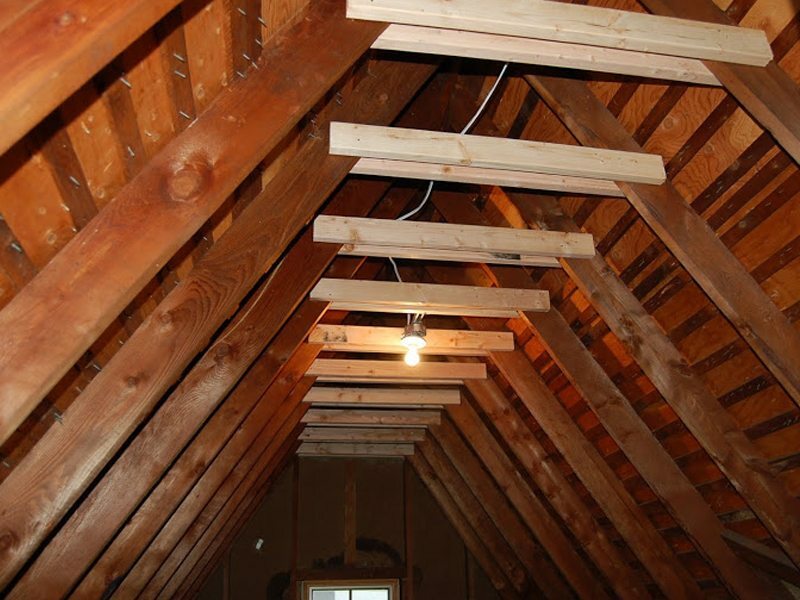 If you are considering an attic renovation project for your home we would like the opportunity to tell you why we think we are the best attic renovation contractor in Morristown, NJ 07960.